Below we’ve reviewed some of our favorite subtraction read alouds for K-2 classrooms. Choose one to read aloud, then follow up with a subtraction activity that provides opportunities for students to discuss their thinking and solutions. Ten red apples hang on a tree. But they are not there for long as one by one the farm animals each eat one. When there is just one apple left, the farmer picks it, leaving none for his wife who was hoping to bake a pie, "No red apples to bake in a pie. Fie, fie, fiddle-dee-fee!" What will they do? This subtraction read aloud blends bold color illustrations with repetition and a rhyming text. Students love to join in reciting some of the fun phrases as the story is read aloud. Hutchins's trademark wooden figures, including the couple from Changes, Changes, feature in the story, as does Rosie the hen from Rosie's Walk. 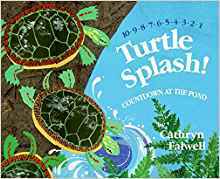 A lovely book focused on counting down from ten, Turtle Splash! features a group of Eastern Painted Turtles who, one by one, depart from their log after visits from various creatures send them scuttling for cover into the pond. 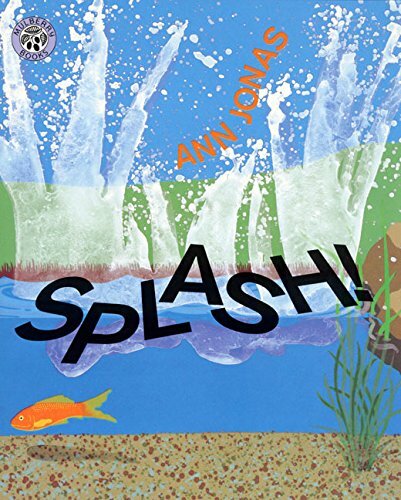 The rhyming text helps students predict which number comes next, and the idyllic pond setting (based on Frog Song Pond in Gorham, Maine), is beautifully represented using collages of papers, and birch bark and leaf prints, bringing the natural world into the classroom. Each double spread includes a clue as to the next visitor to the pond, and in the final pages Falwell provides short profiles with facts about each animal for further exploration, as well as an explanation about how to make the leaf prints featured in the book. 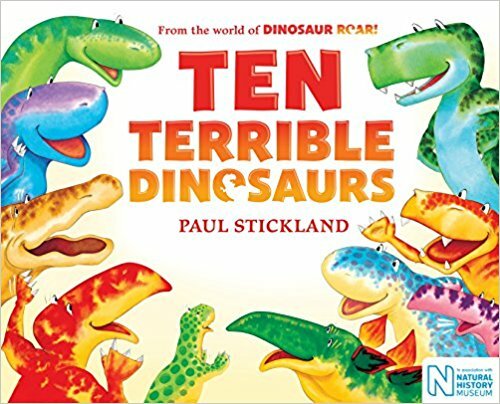 When using this book in kindergarten we give each student ten green snap cubes to represent the turtles and follow the action in the story, subtracting one turtle and discussing how many are left each time a turtle departs from the log. 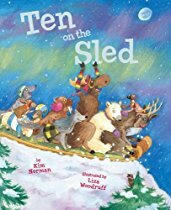 A valuable subtraction read aloud and nature tale in one, this book also includes inspiration for art projects. Handa sets off to visit her friend Akeyo in a neighbouring village with a basket full of seven different kinds of fruit on her head. On her way, and without her knowing, different animals each take a fruit until there is nothing left in her basket. All is solved when a goat charges into a tree providing a big surprise for both Handa and Akeyo. 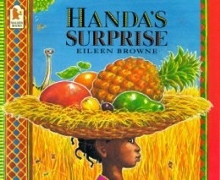 Set in Kenya, this simple story of friendship provides the perfect opportunity for children to act out the story, take away the fruit from the basket, and use the vocabulary involved with this type of calculation. 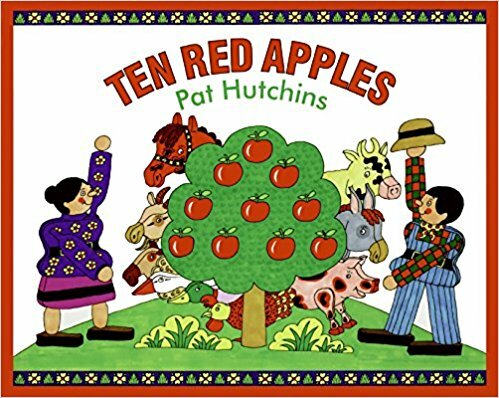 We've also used this book as the lead in to a data lesson where students collected and analyzed data on the favorite type of fruit in the class. 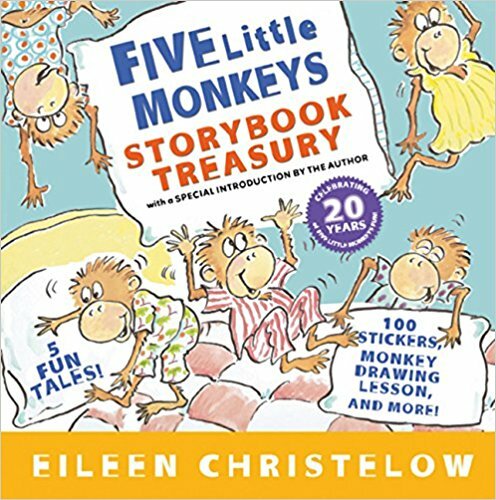 This treasury includes five full-length picture books - Five Little Monkeys Jumping on a Bed, Five Little Monkeys Bake a Cake, Five Little Monkeys Sitting in a Tree, Five Little Monkeys with Nothing to Do, and Five Little Monkeys Wash the Car - as well as a lesson on how to draw your own monkeys. A consistent pattern in these stories is that the number of monkeys decreases from five to zero as the action unfolds. Five Little Monkeys Jumping on a Bed is always a popular subtraction read aloud in kindergarten and first grade. As we read the story we ask five students to pretend to jump on a bed and jump off one by one. We pause throughout the story to ask how many monkeys were on the bed, how many jumped off, and how many are left on the bed. In first grade, after reading the story, we often start with 10 monkeys and mix up the number that fall off the bed each time, “Ten little monkeys jumping on the bed, four fell off…” Students who are not acting out the story write an equation on their dry erase boards to represent the different situations. During small group instruction students use math manipulatives and a set of numeral cards (0-5 or 0-10) to act out the story and show how many monkeys are left on the bed. This subtraction read aloud, about ten turkeys sitting on a fence, is popular in K-2 classrooms around Thankgiving time. One by one each turkey tries to do a silly stunt, only to fall to the ground with a "GOBBLE GOBBLE WIBBLE WOBBLE." After the fence breaks the turkeys are forced to find a new place to fool around! 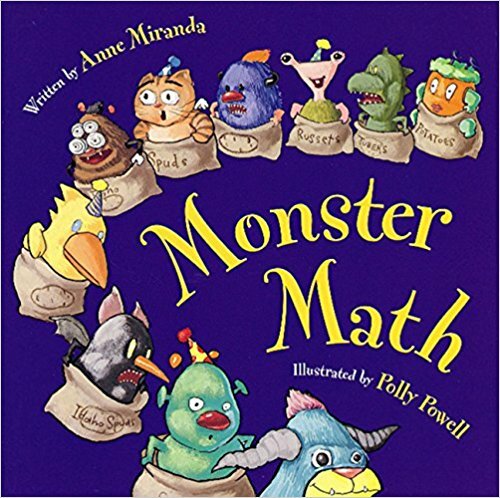 An entertaining read aloud for practicing counting backwards from ten, or minus one facts, this book is sure to get a few giggles. 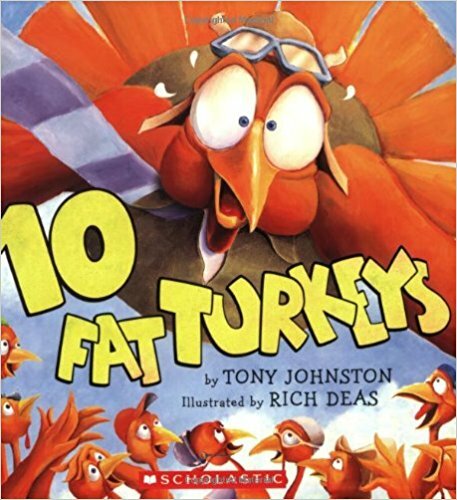 An added bonus is that the rhyming text helps children predict how many turkeys are left after each stunt fails. In a second grade classroom we visited students wrote and illustrated their own books that started with 10 animals, or other things, that disappeared one by one until there were none left. These were shared with a kindergarten class during math buddy time. A little green monster is waiting for her first birthday guest to arrive. The first monster guests arrive one by one, but then groups of ten start arriving and begin to wreak havoc, "Nine sticky monsters are washing their faces./Ten speedy monsters run ten monster races./The monsters keep coming and Mother's lost count./Ten more make twenty-a monstrous amount!" It’s not long before the number of guests has increased to 50 and mother realizes that some major monster subtraction needs to take place. 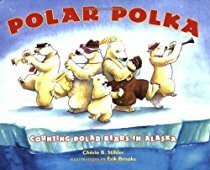 We like the fact that the counting action in this book differs from that commonly seen in subtraction read alouds of counting backwards from ten to zero. After counting by ones, then by tens to fifty, the count in this story gradually returns to one as the guests reluctantly depart in varying-sized groups until just one little monster remains, "grateful and glad. It's the best birthday party that she's ever had!" 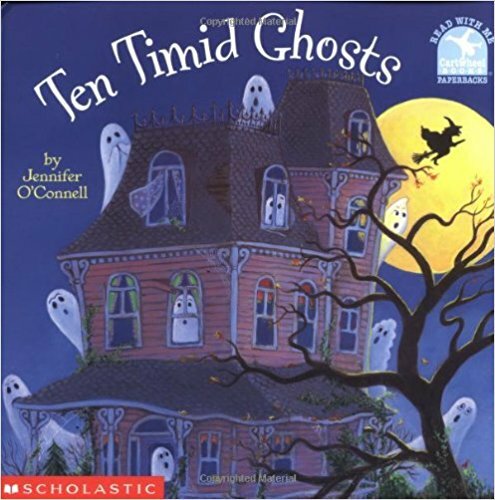 Ten timid ghosts have a problem: A mean witch moves into their house and wants to get rid of them. Using different disguises the witch scares away the ghosts one by one. The last little ghost figures out what is going on and the ten ghosts come up with a plan to get their revenge and retrieve the house. 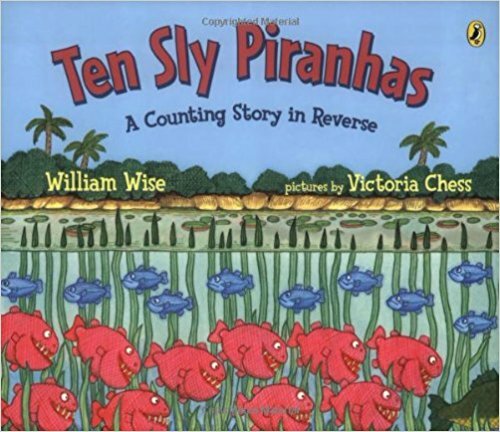 This is another fun subtraction read aloud that uses rhyme and repetition to teach students how to count backward from ten. Each section starts with the number of ghosts shown in numeral form, while the lead sentence begins with the number in word form. Popular in K-2 classrooms at Halloween, students love to act out this story as it is read aloud.